Similarly, singer Shasha Tirupati who has given hits for movies like Half Girlfriend, Mom, Ok Jaanu is highly inspired by such legends who have created wonders with music. 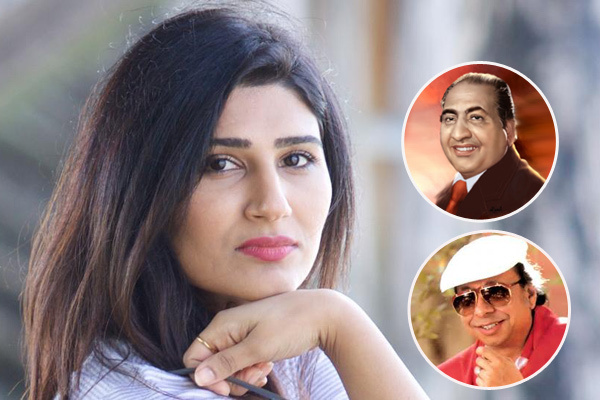 In honour of her inspiration Mohammad Rafi Sahab, Shashaa gave a tribute to him by singing his song Zindagi Bhar Nahi. Also two days ago on R. D. Burman’s birthday, the singer shot a small video on a moving two-wheeler, singing Pancham Da’s famous song Aao Na and wishing the legend on his 79th birth anniversary. MUMBAI: Singer Shashaa Tirupati has recently released cover mashup of two iconic songs, Kajra Mohabbat Wala and Uden Jab Jab Zulfein Teri. MUMBAI: Singer Shashaa Tirupati has paid a musical tribute to the legendary composer O.P. Nayyar by working on his two famous songs Kajra Mohabbat Wala and Ude Jab Jab Zulfe. MUMBAI: Indo-Canadian singer Shashaa Tirupati has lent vocals for director Sarthi Gupta's music video, Aaina. It is India's first music video to be produced in accordance to celebrate innocence, womanhood, love, and travel, all together. MUMBAI: With another week coming to an end, its time for our weekend wrapup. And we have got some breaking news, from the world of music industry that were an ultimate head-turners of the preceding week. Have a look at the article and have a happy weekend.